Music flows in the halls of the Department of Fine Arts at the College of Southern Nevada thanks to Professor Richard McGee. Hitting the right note led him to his destiny, which was to teach music at CSN. According to faculty biographies on CSN’s website, McGee moved to Las Vegas in 1981 to pursue a music career on the Strip. He first worked at the MGM Grand. He then became lead trombonist and assistant conductor of the Folies BergereOrchestra at the Tropicana Hotel. He played and conducted over 4,000 performances between 1982 and 1989. Following that he worked for the Caesars Palace house orchestra for 11 years, where he performed regularly with stars including: Tony Bennett, Natalie Cole, and Johnny Mathis. A musician strike took place that diverted McGee’s path from playing professionally to teaching. “Coincidentally, CSN was looking for another music teacher. To make the long story short I applied for the job and I got it,” McGee said. McGee was given the opportunity to shape the music department at the College. “We didn’t have anything. There was very little in terms of music facilities,” McGee said. Before being an instructor for higher education, he started his teaching career in Colorado leading the high-school band. He’s worked with students most of his life. Besides being the chairman of the Department of Fine Arts, he teaches music classes and conducts two bands. Students are not the only ones who are impressed with McGee. Colleagues are also captivated by his personality and teaching skills. 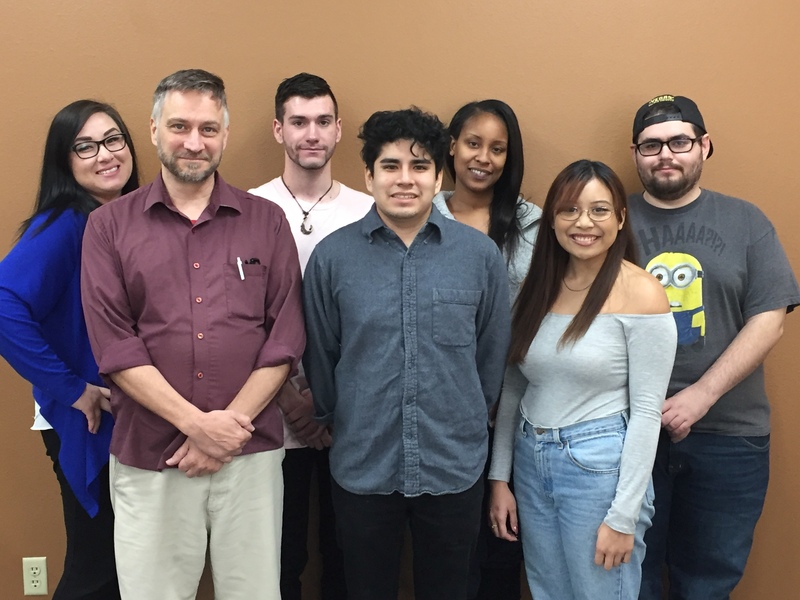 “I’ve had some outstanding supervisors during my time here at CSN and it’s definitely a pleasure to be able to work and learn from a professional of Dr. McGee’s caliber,” said Jackie Sparks, Department of Fine Arts administrative assistant. Sparks called McGee “Trombone Maestro” because of his talent. McGee spreads his music outside of CSN. He is a founding musical director of the Nevada Symphonic Wind Ensemble. He helped found the Las Vegas Philharmonic where he served for 12 years. He also found the non-profit organization Nevada Pops where he is the music director. “The things that I really love doing: teaching, conducting, composing, [and] playing, are all things you can do here in Vegas,” McGee said. “I didn’t move here to teach, and I didn’t expect to go back to it, but I was drawn back to it,” McGee said. Just like any other song, there would be a bridge where unexpected things would take place. Without the bridge, it wouldn’t be a good song. This was his bridge. Music is everything and everywhere in his life. “Music is life,” McGee said.